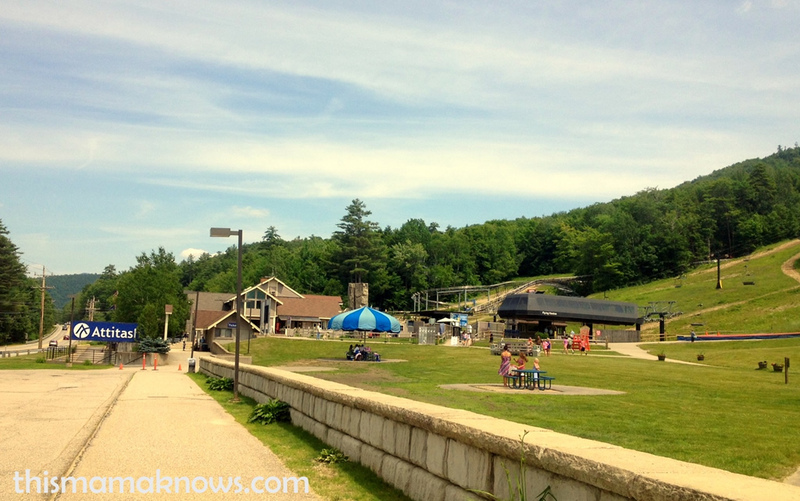 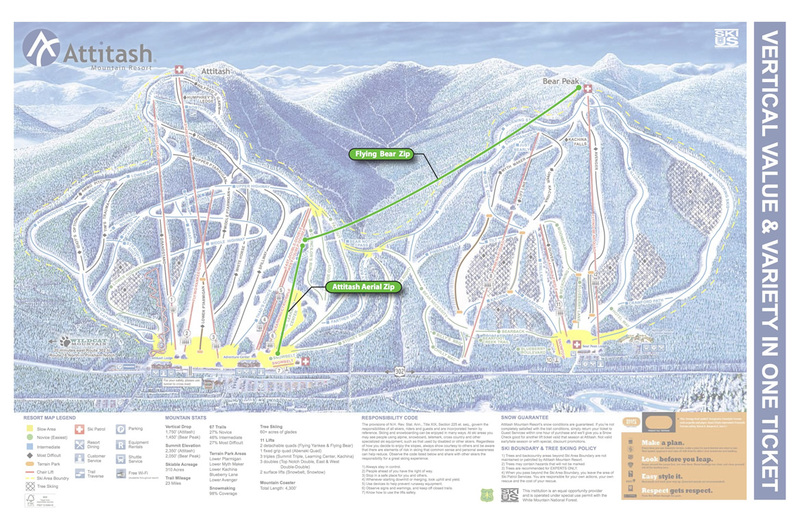 Fly high on the new Attitash ZipTour above the tree canopy from the summit of Bear Peak over to mid-mountain of Attitash and from there to the base of Attitash! 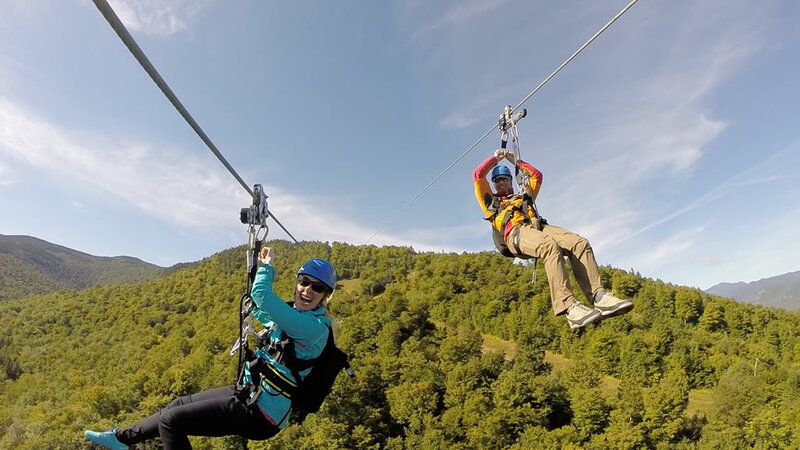 It is fun, fast and a one-of-a-kind thrilling experience. 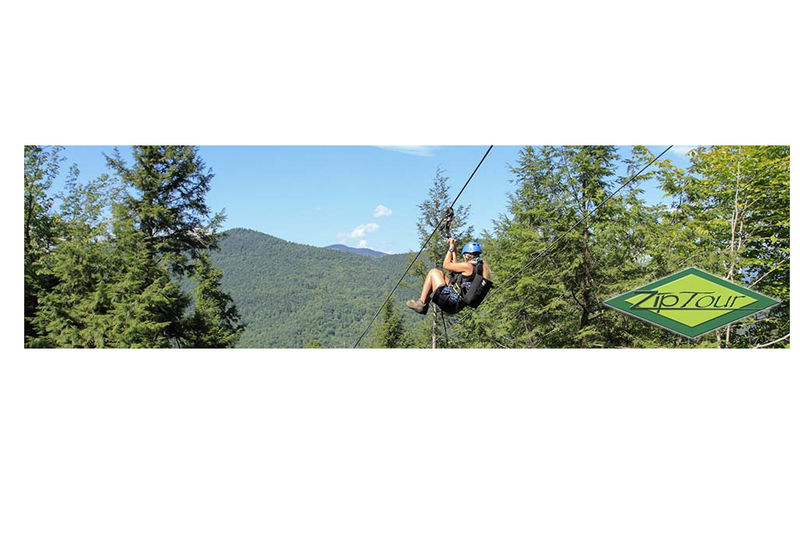 This approximate 2 hour adventure is for thrill seekers and nature lovers alike. 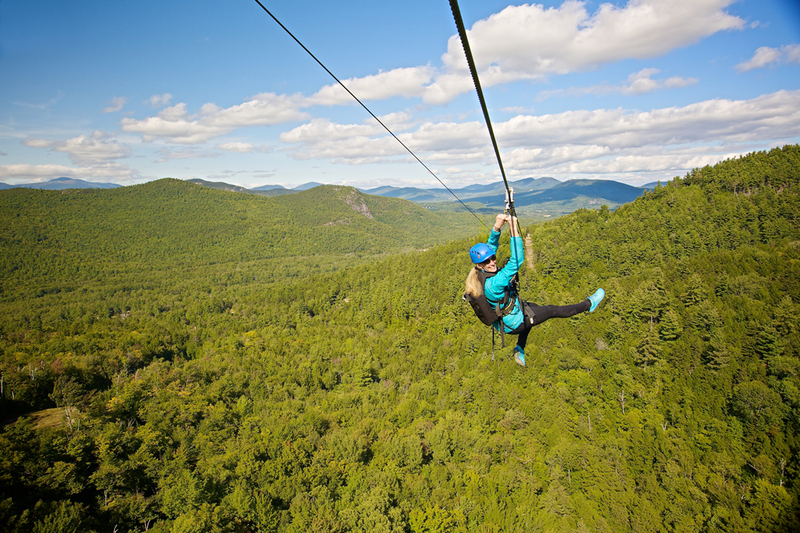 You can control your speed and even make a stop to enjoy the spectacular views. 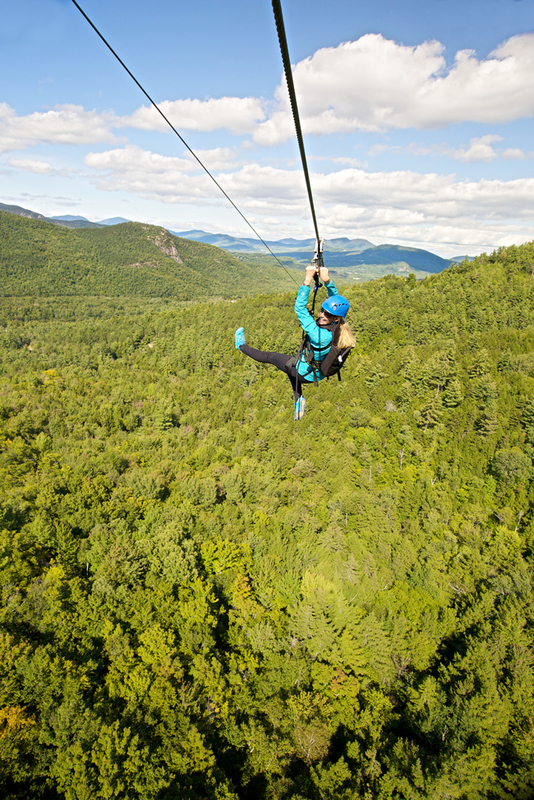 A top speed of 65+ mph is possible and reaching heights of 250' off the ground as you make your way the 4,969 feet length distance of the Flying Bear Zip from the summit of Bear Peak over the valley towards Attitash Mountain - that's almost a mile and is the 2nd longest single zip span in the contiguous United States! 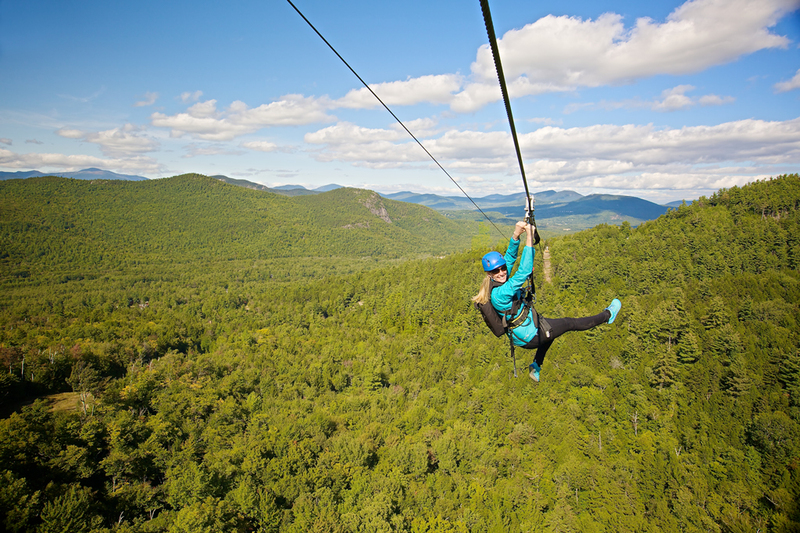 From there you'll fly the Attitash Aerial Zip, zipping from upper Thad's Choice to the base of Attitash, another 2,196 feet! 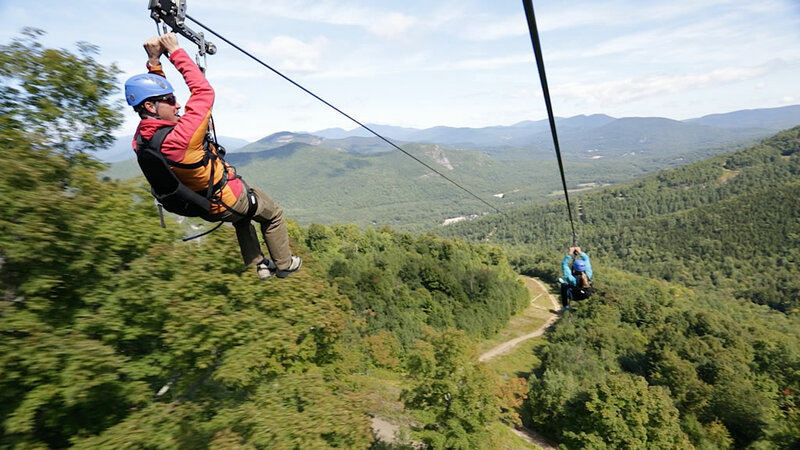 With both The Flying Bear and Attitash Aerial Zip spans offering two parallel cable lines, you and a family or friend are able to ride side by side. 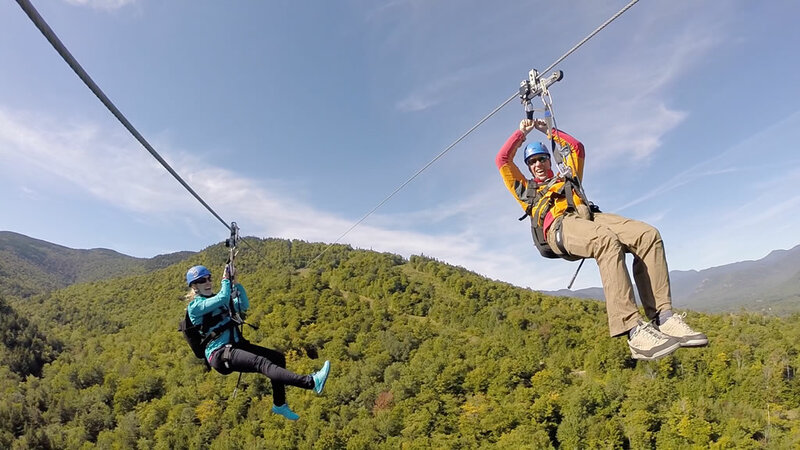 “That … was … incredible! 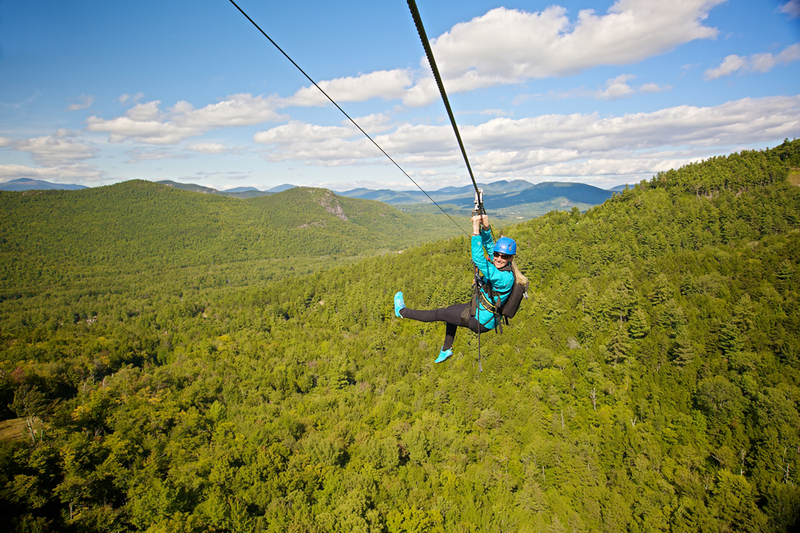 It's a blast!” enthused Conway Daily Sun photographer Jamie Gemmiti, after he rode both parts last Friday (September 5th, 2014) of the two-cable Attitash ZipTour: the nearly 5,000-foot long Flying Bear Zip from the summit of Bear Peak, said to be the longest single-span zip line in the contiguous United States, and the 2,100-foot long Attitash Aerial Zip, which runs to the base of Attitash Mountain. 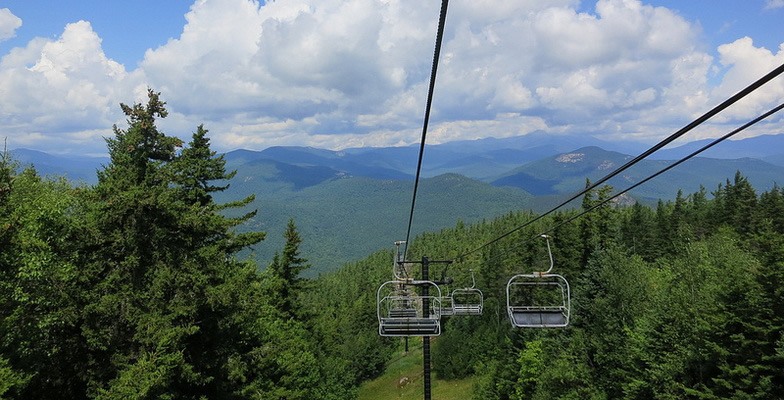 On both lines, speeds of more than 65 mph are attainable. 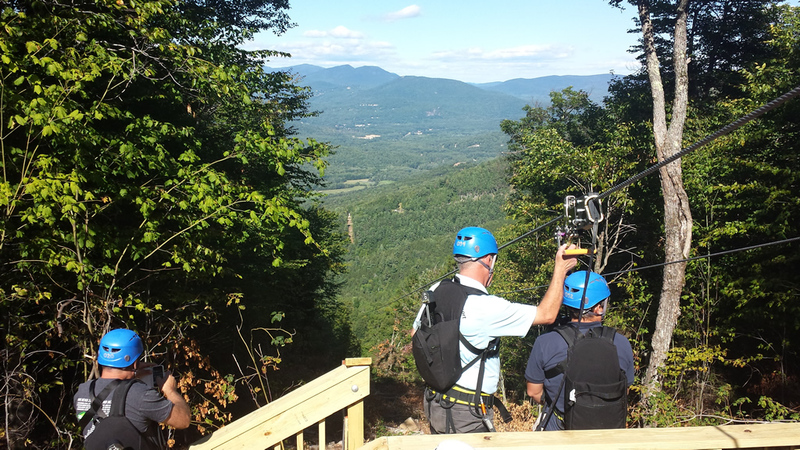 TOTAL VERTICAL DROP: 1,400 ft.